The family of a boy who was born without arms claims an Arkansas IHOP discriminated against their son, causing the family to leave the restaurant. The 3-year-old, William Bancroft, uses his feet to eat while he’s seated on the table; after a manager told his family he couldn’t touch the syrup container due to health department regulations, KARK reports the family left the IHOP. His mother explained to the manager she’d washed her son’s feet in the restroom beforehand, and asked whether the restaurant investigates the hand-washing practices of all its customers. IHOP president Darren Rebelez has since made a statement apologizing to the family and indicating the chain will make an effort to train its employees on how best to interact with guests with disabilities: “IHOP and our franchisees do not tolerate actions that are or allude to discrimination of any type. The franchisee at this location has been in touch with the guest to express his sincerest apologies and will continue to be in communication with her to resolve the issue. 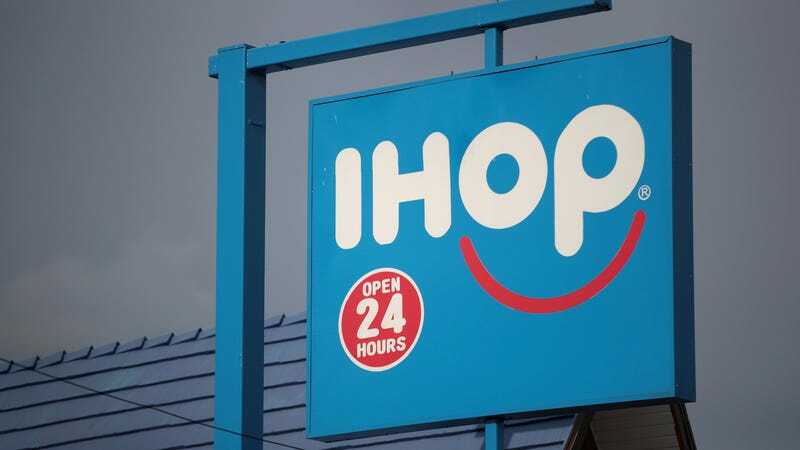 Additionally, the franchise will also retrain his team members to ensure IHOP’s level of service, particularly regarding guests with disabilities, is provided to all.” Earlier this year, IHOP suspended a server in Maine for asking black diners to pre-pay. After William’s mother posted about the experience in a now-deleted Facebook post, KARK reports numerous IHOP servers and even the manager messaged her to apologize and say it was a misunderstanding.